The wait is over. With its new mobile app for iOS and Android, diviac’s users – currently from over 130 countries – can now have their logs always with them regardless of Internet availability. 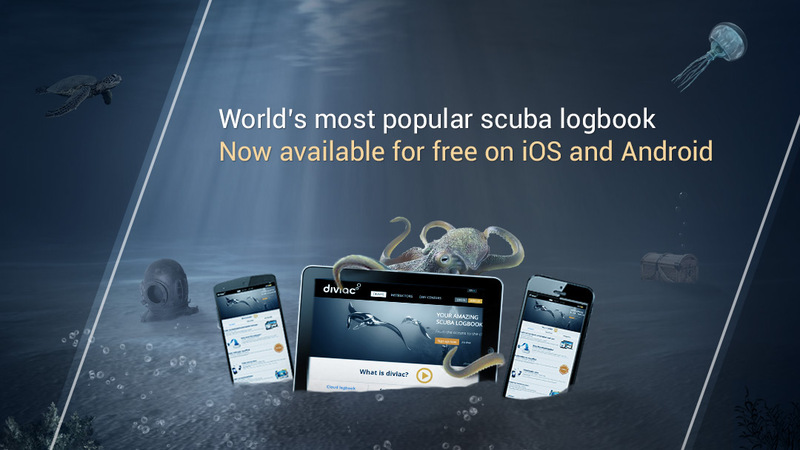 When diviac launched its cloudbased scuba logbook in 2013, it had already made a significant step in reinventing the traditional paper logbook. From a dry set of statistics to a media rich and shareable journal of one’s dive history. With direct dive computer connectivity, a marine life database with 14,000 fish and full geocoding of all logs, diviac was already truly unique. With the release of its mobile app, diviac has now gone one step further by allowing divers to work fully offline and have their data automatically synchronized as soon as they are back online again. Easy, seamless, one platform and no cables.